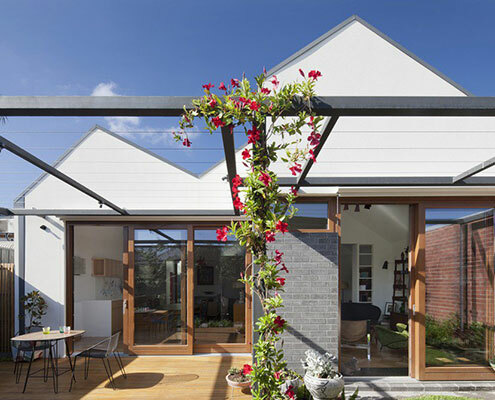 Cloud House by McBride Charles Ryan Cloud House: Conservative in Front, But a Radical Surprise Out Back The Cloud House is a recent home extension by architects, McBride Charles Ryan. From the front it's a typical home. From the back, it's a whole other story. 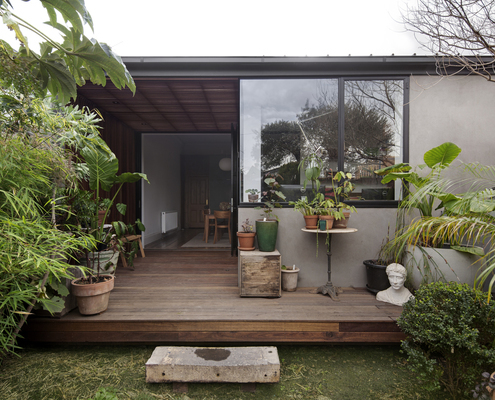 Tattoo House by Andrew Maynard Architects (AMA) Tattoo House: A Surprisingly Leafy Compromise Keeps Everyone Happy Tattoo House takes the conflicting wishes of the client, neighbors and council and creates a surprisingly leafy compromise everyone is delighted with. 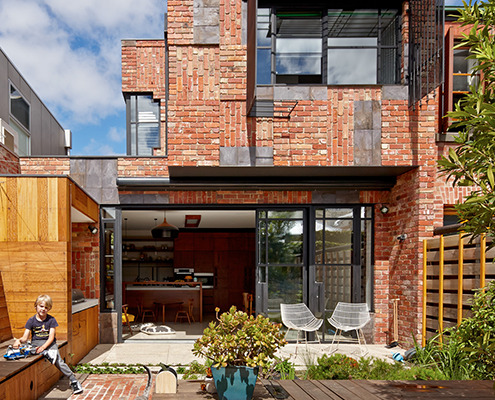 Fitzroy North Addition by Nic Owen Architects Fitzroy North Addition Defies Constraints for Affordable, Spacious Home Tight site, stringent planning and heritage controls, and a difficult orientation -- Nic Owen Architects pull off the architectural equivalent of a miracle. 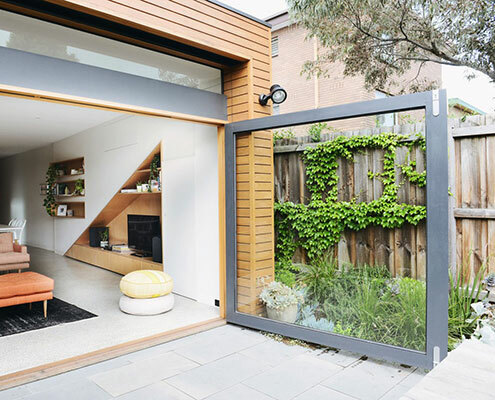 North Fitzroy House by AM Architecture North Fitzroy House: Contemporary Extension Makes No Apologies For Being New An unashamedly modern extension manages to integrate old and new by putting a modern spin on materials and colors from the original home. 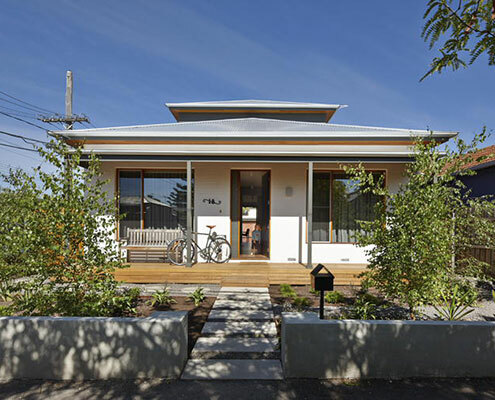 Engawa House by BLOXAS Architects Engawa House: A Touch of Tokyo in Fitzroy North Can you spot a Japanese influence in Engawa House? 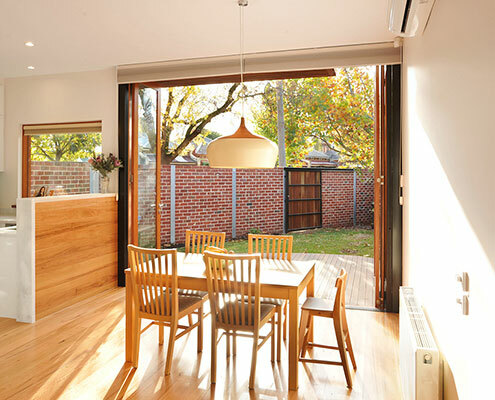 'Engawa' is an exterior hallway on Japanese homes -- the inspiration for this new extension. Cubo House by PHOOEY Architects Cubo House Uses Upcycled Materials to Celebrate Its History Cubo House is a sustainable home which celebrates its history via restored existing elements and upcycled features using the surrealist technique 'Cubomania'. Inner City Downsize House by Steffen Welsch Architects Inner City Downsize House Proves When it Comes to Space Less is More A combination of good design and plenty of storage makes inner city downsize house feel just as spacious as the owners' previous home. 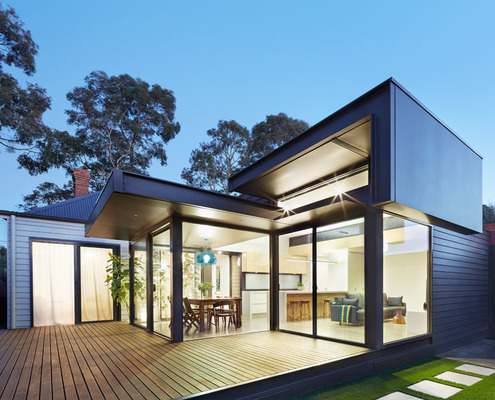 Peter Miglis House by Woods Bagot Architects Peter Miglis House: A Renovation of Light, Space and Air Architect Peter Miglis lists “light, space, and air” as the elements that form great architecture; he has incorporated all three into his own home. 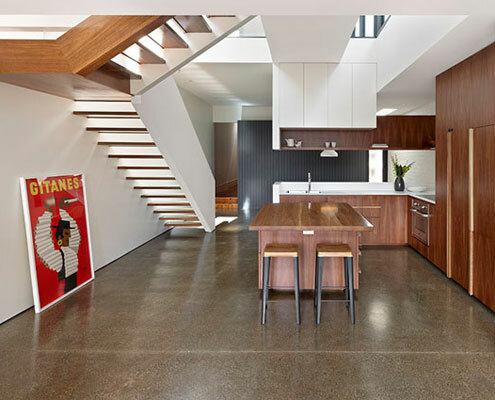 Holden Street House by Nest Architects Holden Street House is Transformed in Much-Needed Modern Update From possum-infested DIY-renovated nightmare to sunny and spacious home, Holden Street House has been transformed. House in House by Steffen Welsch Architects Light-Filled Courtyards Separate House in House's Five Pavilions… Sitting in an historic neighbourhood, House in House. 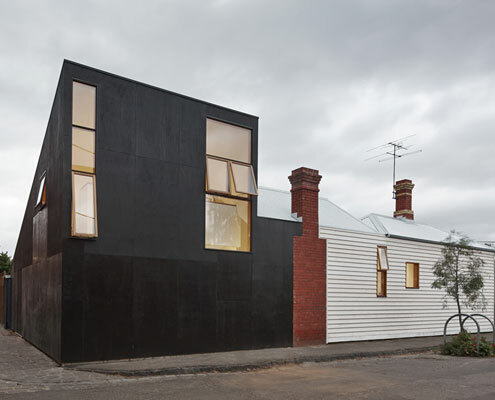 Inside and out, it's a surprising alternative to its dark row house neighbours. 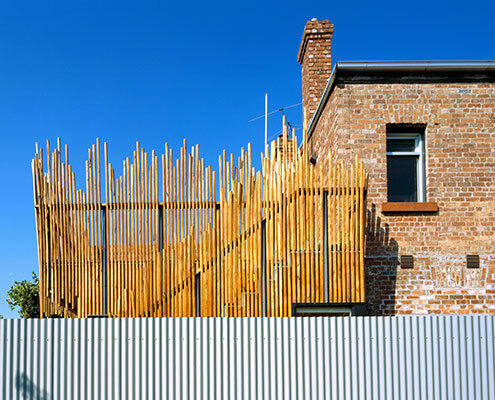 Stick House by PHOOEY Architects This House Overcomes the Sticky Issue of Building Over the Backyard… By replacing space lost to the renovation with a roof deck, Stick House ensures not a millimetre of outdoor space is sacrificed. 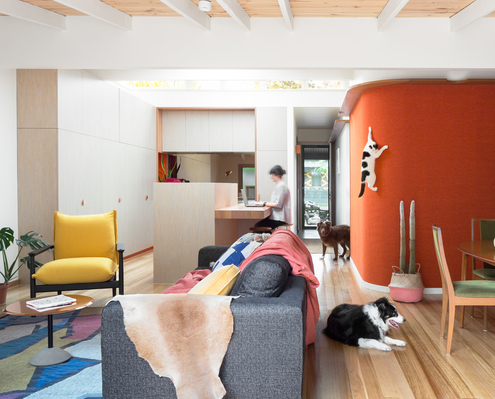 North Fitzroy House by Jean-Paul Rollo Architects From a Humble Brief, North Fitzroy House Makes Dramatic Transformation A brief that might have disheartened some architects inspires a humble renovation that dramatically improves 'dog's breakfast' house. 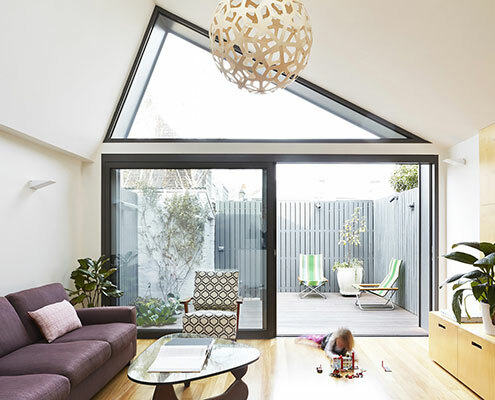 Big Little House by Nic Owen Architects Big Little House is a Modest but Light-Filled Terrace Extension When a family of four decide to renovate their terrace on a tiny site, some big ideas need to be packed into a little space. 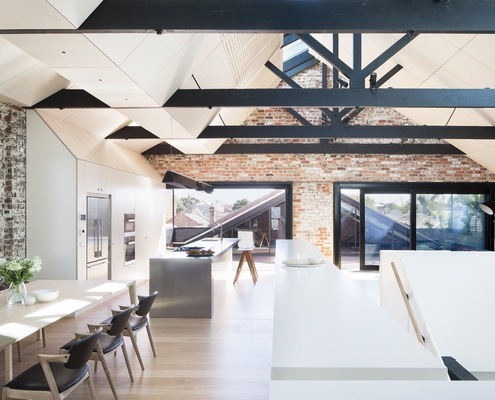 Water Factory by Andrew Simpson Architects Converted Warehouse in Fitzroy Creates a Home for an Extended Family This converted warehouse in Fitzroy involved refitting of a beautiful old warehouse to become a flexible home for an extended family. 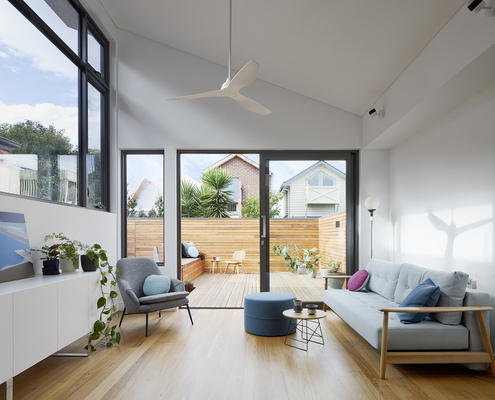 High House by Dan Gayfer Design High House Reno Takes Light, Functionality and Space to New Heights An extensive renovation of a Melbourne home gives the owners all the benefits of inner-city terrace living without the drawbacks. 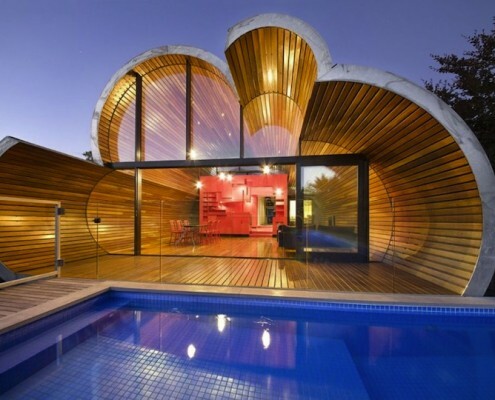 Pod House by Nic Owen Architects A Modern Light-Filled 'Pod' Deals With a Bad 1980s Hangover... A lot of mistakes were made in the '80s, Nic Owen Architects attempts to rectify one of them with a modern pod-like extension. 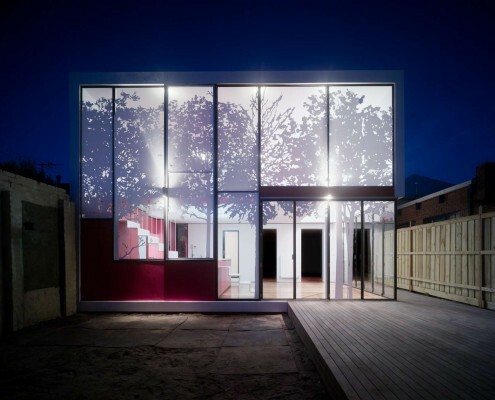 Casa de Gatos by WOWOWA Architecture Crazy About Cats? 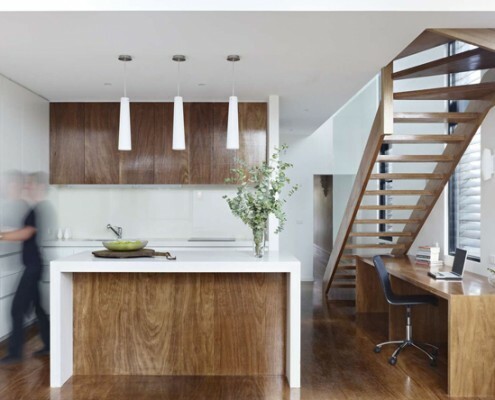 We May Have Found Your Perfect Inner-City Abode... If fur-babies, travel, colour and fun are ticking some mental boxes for you, you'll love Casa de Gatos (or 'House of Cats' in Spanish). 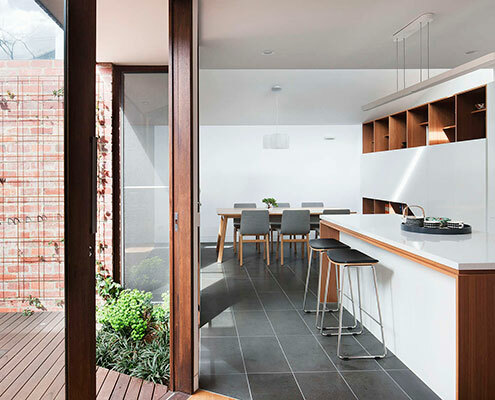 Falconer Street Residence by Sonelo Design Studio A Minimal Renovation Maximises the Connection to the Outdoors A strong visual and physical connection to the garden is achieved without significantly altering this inner-city terrace.